HAPPY HOUR just got HAPPIEST! Happy Lunar New Year of the Goat! 酒庄 JIU ZHUANG welcomes the year of the Goat and wishes you a HAPPY LUNAR NEW YEAR! 祝大家新年快楽,身体健康,恭喜发财, 万事如意! Please note our Chinese New Year operating Hours: We are closed on 18th & 19th February. Business as usual on Friday, 20th February! 酒庄 Jiu Zhuang in "8 Days"
Travelling anytime soon? Receive a voucher entitling you up to S$35 worth of drinks (selected brands) at 酒庄 Jiu Zhuang, with the purchase of Rémy Martin XO Excellence from DFS at the Changi Airport. Details enclosed. What drink is your favourite thirst quencher? Time to whip out that UOB card of yours to enjoy these great $6 & $7 deals! $6 Prawn Paste Chicken Bites and $7 Xiao Long Bao with min. spending of $30. Valid till 31 May 2015. Plus, enjoy a complimentary bottle of wine when you spend a minimum of $200 with UOB cards. Valid till 30 September 2014 or while stocks last. 酒庄 JIU ZHUANG 祝贺大家马年快乐，恭喜发大财！马年好运到！身体健康，龙马经神！All of us at 酒庄 JIU ZHUANG wishes everyone a Happy Chinese Lunar New Year! May the year of the horse brings you happiness, prosperity and the pink of health! Our staff will be taking the well-deserved break from Thursday 30th January to Sunday 2nd Feb. Service will resume on Monday 3rd Feb. We thank you for your support and hope to see you soon after the new year! 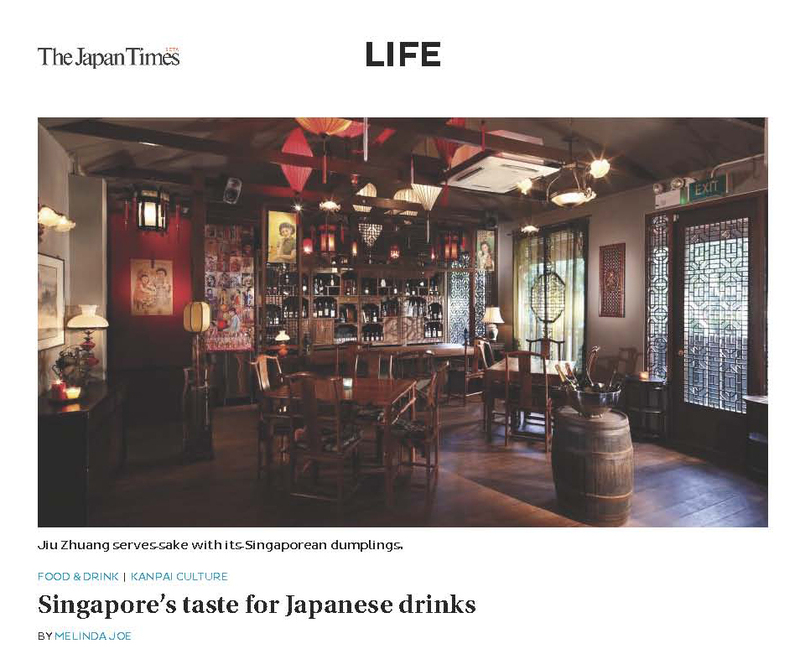 酒庄 JIU ZHUANG, Dempsey's stylish chinoiserie inspired restaurant and bar, is going indulgence crazy this festive season with special festive packages to satisfy the thirst in you. Book a table at 酒庄 JIU ZHUANG: 6471 1711 or email: xiaoer@jiu-zhuang.com. . Wed, 30 Oct from 830pm onwards. Call 6471 1711 or xiaoer@jiu-zhuang.com to make your reservation today. Hear ye, hear ye, all serious whisky drinkers! This is an excellent opportunity to meet with legendary master distiller extraordinaire—Mr. Jim McEwan, who's ready to share with you tales from Islay and creating the finest whisky. Thank you all for your participation! Photos of the event. Special 'After Hours' with Paolo e Marchi! 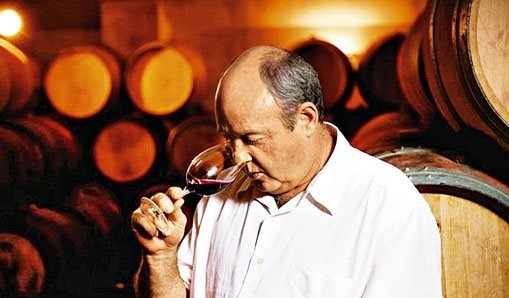 Tuscany's top (and nicest) wine producers, Paolo e Marchi from Isole e Oleana will be holding a special 'After Hours' session at 酒庄 JIU ZHUANG this friday! Limited seats, first come first serve! 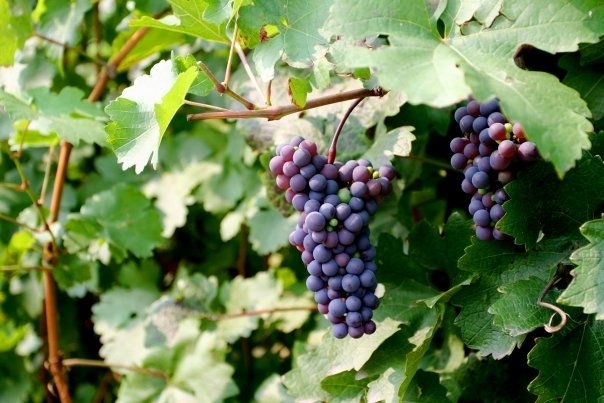 Price: S$35 for tasting portions of the wines (as below) and canapés. 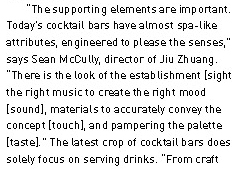 Spotted, 酒庄 Jiu Zhuang in this month's issue of Harper's Bazaar man in life section, Best Bars. 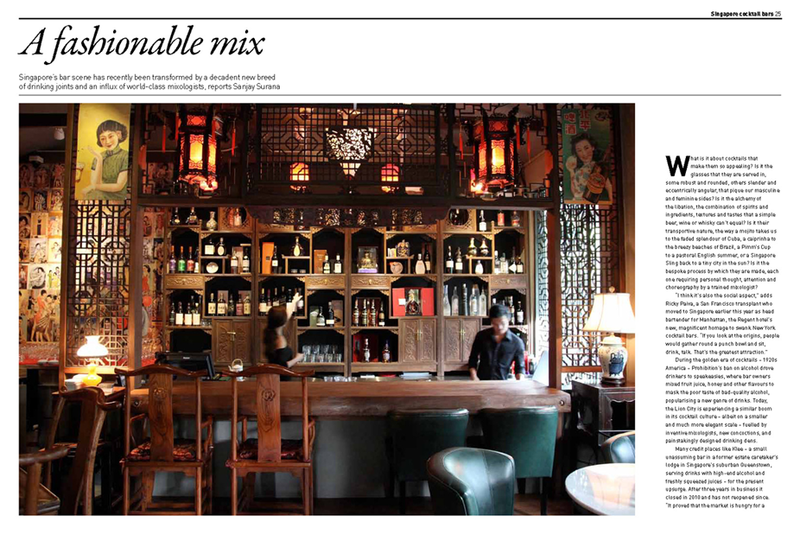 Take your man out for a drink at one of Singapore's most sophisticated bar today! As the waiter brought our dishes of xiao long bao soup dumplings spiked with whiskey, pan-fried guo tie dumplings filled with pork and foie gras, and steamed dumplings with baby abalone and shrimp, he suggested that we try the food with a bottle of Onnajoshu, a daiginjō with gold flakes from Iwamura Brewery in Gifu Prefecture. And just like that, sake had found me at last. —Melinda Joe, an American Journalist who lives in Japan and also a certified wine and sake professional.